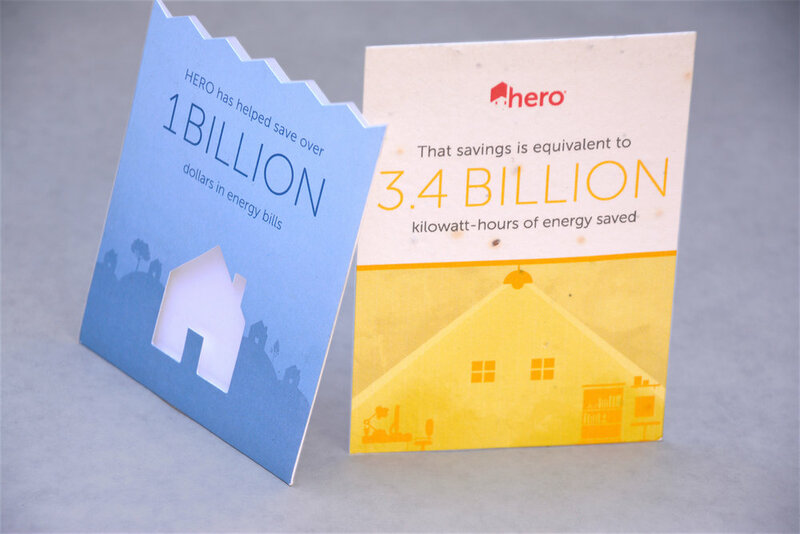 The HERO Program is an energy efficient financing program that stands for Home Energy Renovation Opportunity. The financing provided by the HERO Program is repaid through annual property tax payments, which are collected by the County and in some cases may be passed on to a new property owner if the property is sold. 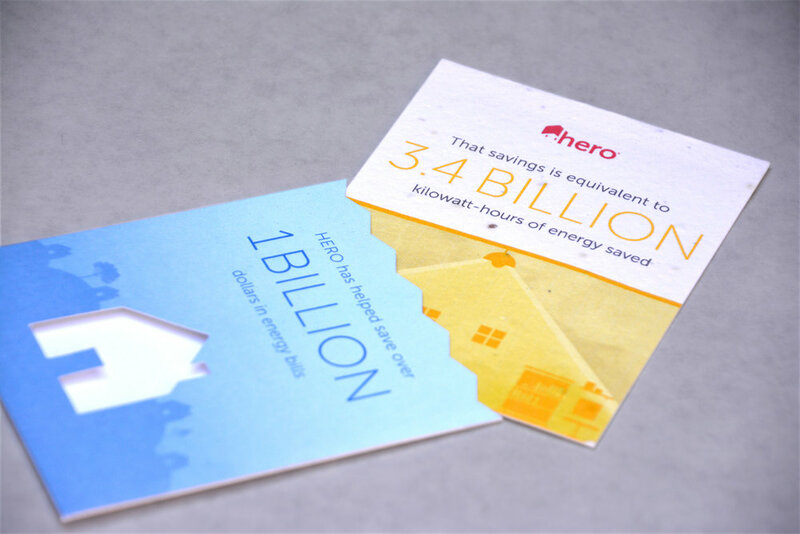 The information card creatively shows not only how much money is saved on energy bills through the program, but how much energy is saved. 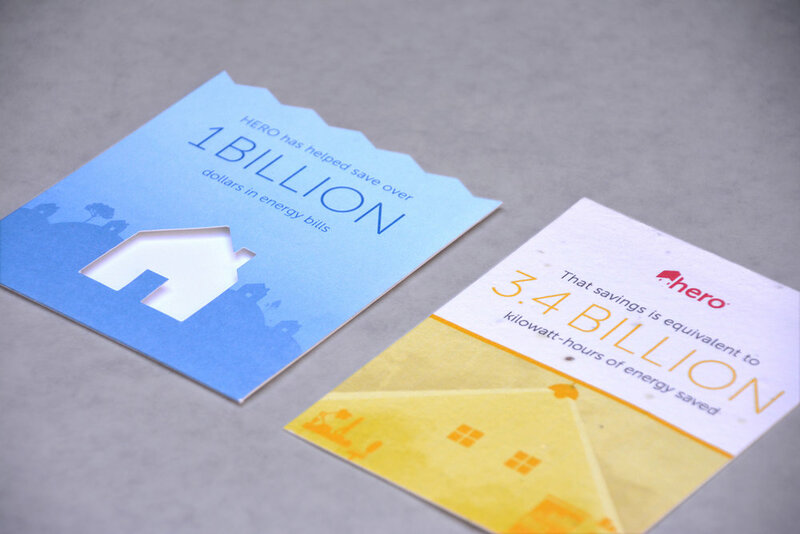 Keeping with the sustainable message, it was printed on 100% recycled fiber paper for an earthy look and feel. 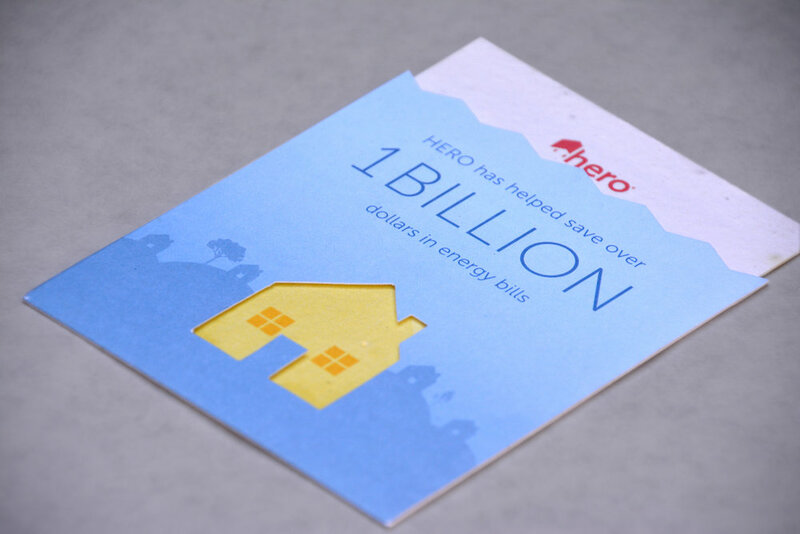 The infographic below helps explain to contractors how HERO can help them gain more customers.